When we hear the word “doctor,” we usually think first of a physician. But the word itself comes from the Latin docere, meaning “to teach.” It is in this literal sense that the title “Doctor of the Church” is bestowed on certain individuals whose teaching has greatly benefited the life of the Church. The criteria for determining whether a person receives this title are a high degree of sanctity and great learning. Investigation of a nominee’s sanctity is the responsibility of the Congregation for the Causes of Saints in Rome. The Congregation for the Doctrine of the Faith, also at the Vatican, makes the judgment about a nominee’s teaching. The latter congregation’s approval recognizes the contribution of the nominee’s doctrine, but does not guarantee that his or her writing contains no error. With the approval of these two congregations, the Church proclaims a person to be a Doctor of the Church. This proclamation can be made by the pope or by an ecumenical council approved by him. In practice, all designations have been bestowed by the reigning pontiff. The decree is made by a public proclamation of the pope. (This proclamation is not ex cathedra — that is, not an infallible declaration of the Church’s truth.) He also grants the universal Church the use of a Mass and an Office for the saint to whom the title of Doctor is given. Some of the Doctors have been given special titles, reflecting their luminous reputations or significant themes in their thought: St. Augustine, for example, is Doctor Gratiae (Doctor of Grace); St. John of the Cross is Doctor Mysticus (Mystical Doctor); St. Cyril of Alexandria is Doctor Incarnationis (Doctor of the Incarnation). The naming of Doctors of the Church began in 1298, when Pope Boniface VIII named four eminent theologians and scholars as Doctors: St. Augustine, St. Ambrose, St. Jerome and St. Gregory the Great. In the Eastern Church, three Doctors were preeminent: St. John Chrysostom, St. Basil and St. Gregory Nazianzen. Four women have received the title of Doctor in recent decades. Pope Paul VI bestowed the title on St. Teresa of Avila and St. Catherine of Siena in 1970. Pope John Paul II named St. Thérèse of the Child Jesus and the Holy Face a Doctor in 1997. Pope Benedict XVI so honored St. Hildegard of Bingen in 2012. Presently, there are 36 Doctors of the Church: nine Eastern and 27 Western. Two were popes, 15 were bishops (archbishops, patriarchs, cardinals), one was a deacon, one a diocesan priest. Several were monks and a majority were members of religious congregations. Eight religious orders are represented in the list of Doctors: Carmelites (3), Jesuits (2), Dominicans (3), Franciscans (3), and Benedictines (5) and one apiece for the Cistercians, Redemptorists and Oratorians. Four Doctors were founders of religious orders: St. Alphonsus Liguori (Redemptorists), St. Teresa of Avila and St. John of the Cross (Discalced Carmelites), and St. Francis De Sales established an Oratory of St. Philip Neri and the Order of the Visitation of Holy Mary. The national or ethnic identities of the Doctors of the Church include 11 Italians, 3 Syrians, 4 Anatolians, 4 French, 3 Spanish and 2 Germans. There is one each of the following: Armenian, North African, Dalmatian, Visigoth, Italian-English, Egyptian, Anglo-Saxon, Dutch, and Portuguese. The Church does not act hastily in naming particular saints as Doctors of the Church. The average length of time between a saint’s death and the time of the proclamation is 815 years! It was an early saint, St. Ephraem, for whom the greatest number of years elapsed between his death and his being named a Doctor: 1,547 years. The most recent doctor of the Church — St. Gregory of Narek — was named by Pope Francis in 2015. The shortest lapse of time was that of St. Alphonsus Liguori, proclaimed a Doctor of the Church just 84 years after his death. The next shortest interval was that of St. Thérèse of the Child Jesus: 100 years. The longest life of all the Doctors is that of St. Alphonsus, who died at the age of 91. Yet not all the Doctors gained their wisdom over a long lifetime. The shortest life is that of St. Thérèse, who lived only 24 years. St. Catherine of Siena lived only 33 years, and St. Anthony of Padua, 36 years. We find great diversity in the works for which the Doctors of the Church have been recognized. Some, such as St. Gregory the Great, St. Ambrose and St. Leo the Great, wrote many letters, homilies and short treatises. St. Thérèse composed only a single book — an autobiography — along with some poetry and personal correspondence. St. Jerome was the first great biblical scholar, translating the entire Scripture into Latin and writing commentaries on biblical books. St. Augustine produced an enormous and varied corpus bearing on many aspects of theology. Like St. Robert Bellarmine, he defended the Church against onslaughts of heresy. Two from Avila, Spain were mystics: St. Teresa of Avila and St. John of Avila. St. Ephraem and St. Gregory of Narek were celebrated hymnists. St. Bede’s history of the English people gives us our best information about England in the early Middle Ages. Systematic theologians such as St. Thomas Aquinas, St. Albertus Magnus, St. Anselm and St. Bonaventure all displayed deep wisdom in relating human knowledge to divine revelation. Whatever their specialization, the Doctors have all served the Church as holy teachers, one of the great gifts of Christ to His people (see Eph 4:11-13). Through their labors, He has worked “to equip the holy ones for the work of ministry, for building up the body of Christ” (v. 12). One gets the clear impression that these people are important. Protestant, Orthodox and Catholic writers all tip their hats to them. Official documents of the magisterium extol their authority (see, for example, Dei Verbum, No. 23). But often the reader is left a bit bewildered. Who precisely are the Fathers of the Church and why do they matter? And if they are so important, what’s the best way to get started learning about them? First of all, let’s make it clear who the early Church Fathers are not. The apostles and other heroes of the New Testament era stand in a class all their own. They are not regarded as Church Fathers. Neither are great theologians and Doctors of the Church from medieval or modern times, such as St. Thomas Aquinas. So, if these venerable writers are not Church Fathers, who are, and why do they bear this title? “Church Father” is not a formally conferred title, as is “Doctor of the Church.” There is no complete, official list of the Fathers. Instead, the designation results from popular acclaim and long-standing tradition that came about in this way: In ancient times, teachers were commonly regarded as intellectual fathers. Some early Christian teachers put their teaching into writings that continued to guide the community of the faithful long after their passing. In disputes over doctrine and the proper interpretation of Scriptures, these early writers were cited as “the fathers” or “the Fathers of the Church.” This popular title stuck and the designation over time was expanded to refer to all the great orthodox Catholic authors writing about faith and morals from about A.D. 100 to about 800. This time period is not as arbitrary as it may seem. It is roughly coterminous with the first seven ecumenical councils of the Church, which defined and defended the two most fundamental dogmas enshrined in the Creed — that we believe in one God in three persons, and that Jesus Christ, the savior of the world, is true God and true man. This is the time period in which the canon of Scripture was clarified and the great liturgical traditions of the Church — including Roman, Byzantine and Maronite — took their distinctive form. The Catholic teachers and writers of this period played a role that can never be played again, transmitting and witnessing to the ancient apostolic tradition and giving a decisive, classic shape to that heritage. Most of these writers were saints. Some of them, such as Tertullian, fell noticeably short. Saint or not, none of them are personally infallible. If they should agree on anything, it would be rather remarkable, since this disparate group spans seven centuries and three continents. But their teaching does agree on a great many points, and this is a testimony that such teaching did not originate with them, but is rather being passed down to us through them. It is in their consensus (consensus partum) that the Church, from the earliest times, has regarded them as infallible commentators on Scripture and the unwritten apostolic tradition. Their importance to apologetics and dogmatic theology goes without saying. When people claim that devotion to Mary is a medieval invention, you can conclusively prove otherwise simply by going to the Fathers of the Church. The same can be done when Jehovah’s Witnesses allege that Constantine invented the divinity of Christ. But just as we read Scripture for more than apologetics purposes, so with the Fathers. We would agree with the late Cardinal Jean Daniélou, S.J. : the Fathers “are not only the truthful witnesses of a bygone era; they are also the most contemporary nourishment of men and women today.” One of the greatest ways to grow in the spiritual life and be imbued with the Catholic spirit is to read the writings of the early Church Fathers. In approaching their work, we should not simply be looking for information, but formation — to receive from them an authentically Catholic vision and a truly passionate zeal for holiness. So, how can we get started in reading the Fathers? Where is the best place to begin? Fortunately, a reading plan has already been laid out for us by the Church. In the revision of the Divine Office mandated by the Second Vatican Council, the late-night hour of “vigils” was transformed into the Office of Readings which can be done at any hour of the day. For each day, it includes one of the longer psalms, broken up into three parts; a page-long reading from the Bible; and a non-biblical reading about a page long, most usually from one of the early Church Fathers. This patristic excerpt is either a commentary on the biblical reading, the liturgical season or the saint of the day. Thus the Office of Readings is a ready-made collection of, as it were, the Fathers’ greatest hits, an introduction to the most accessible, inspirational and instructive nuggets from the patristic gold mine. Intimidated by the complexity of the Divine Office? Not to worry. The Office of Readings is rather simple to follow and is more easily accessible than you might think, both in print and electronically (see sidebar). It is the most accessible entry into the world of the Fathers. So you’ve read and loved the excerpts and are now ready for entire works. Now what do you do? Begin at the beginning. The “Apostolic Fathers” are the earliest of the Fathers and are known as apostolic because their life span overlapped to some degree the life span of at least some of the apostles. In some cases, there is evidence that some of these Apostolic Fathers, notably St. Polycarp, had personal contact with an apostle. Beyond the simple fact that they came first and laid the foundation for later Fathers, there are two other good reasons to start with them. One is that they have undisputable apologetic value as witnesses to unwritten apostolic tradition. Second, they are, for the most part, simple, pastoral men like the apostles and are therefore easy to understand. You don’t need to take a course in Platonic philosophy to make sense of their writings. In fact, many of the documents of this period follow the same basic format as what we’re already familiar with in the New Testament — pastoral letters and “acts” of the martyrs. Of course, it would be helpful to read a brief bit of background before delving right into the documents. There are several convenient sources of such information. But beware of making the mistake of spending so much time preparing that you never actually read the texts. The great thing about the Apostolic Fathers is precisely that there really aren’t too many necessary prerequisites to reading them. With all due respect to my dear Jesuit friends, the original St. Ignatius (d.c. A.D. 110) was not the one from Loyola, but from Antioch. He is without a doubt the most passionate and inspiring among the Apostolic Fathers, the easiest author to read and to share with others. He was the second bishop of Antioch after the apostles, witness to the tradition of Sts. Peter, Barnabas and Paul. It was probably only about 15-20 years after the final edition of the Gospel of John that Ignatius was arrested and sentenced to die for his faith in Rome. He was marched overland from Syria through what is now western Turkey all the way to Troas (Troy) where he was put on a ship to Italy. As he passed through the Asian countryside, he wrote short letters to the various congregations of the region. They provide a fascinating window into the soul of a martyr, a fiery testimony of the love that drove the martyrs to lay down their lives as witnesses to Christ. The goal of this article was simply to answer the question of who the Fathers of the Church were, why they are important, and how to begin exploring their writings. Though I, like many, can’t help but roll my eyes over the uproar created by “The Da Vinci Code” many years back, we are indebted to Dan Brown in a way. He reminded us that the early Church is terribly important. On its authority and fidelity hang the very reliability of the Scriptures and the Creeds shared by all Christians — Protestant, Catholic and Orthodox. Of course, the events of “The Da Vinci Code” concerning what went on in the early Church is total fabrication. So where do we go for the truth? Simple. We need direct contact with the primary sources — that is, documents written by those who were actually involved in the events in question. Fortunately, abundant documents survive from the first eight centuries of the Church. We refer to those who wrote them as the early Church Fathers. By the way, contrary to the allegations of the characters in “The Da Vinci Code,” the documents we have from this era are not falsified or interpolated. Scholarly tools have existed for centuries that are particularly effective at detecting forgeries and dating documents to within a few decades of when they were written. The good news is that there are thousands of documents and hundreds of writers. The bad news is that there are thousands of documents and hundreds of writers. Few of us have time to read them all. In fact, it is difficult to know where to begin. The Church has put together a collection of short selections from the Fathers in the Office of Readings. These are the best introduction. The next step would be to read the Apostolic Fathers, the earliest of the post New Testament writings which have particular apologetic value given their proximity to the apostles. The Apostolic Fathers (ca. A.D. 95-150) were a lot like the apostles — simple men, without much formal schooling. That makes their writings easy to understand. But once we hit the middle to late second century, we run into very different kinds of writers. Justin had been a philosopher before his conversion, while Tertullian was a lawyer. Both were deeply cultured men, and concepts from the philosophy of their day, Stoicism and Platonism, surface frequently in their work. The same is true with Fathers from the fourth-to-fifth-century Golden Age, such as St. Augustine and St. Gregory of Nyssa. So, is there any hope that the ordinary Joe or Jane can read these authors and make heads or tails of them? Absolutely. And here’s why. Many of the most high-powered thinkers among the Fathers were also pastors. And many of their writings were originally addressed to the faithful as homilies, catechetical orations and lives of the saints. Though such writings are chock-full of insight and inspiration, they are delivered in words intended to be understood by everybody. So my advice to those wishing to sink their teeth into the rich fare provided by these later Fathers is to focus on their exegetical and catechetical writings rather than the more philosophical treatises written for a more learned audience. What follows are a few concrete suggestions. Following the Council of Nicaea, there was a great deal of doctrinal confusion. One group of churchmen in the east said that while they accepted Nicaea’s definition of the divinity of Christ, they would not go beyond it to affirm the same of the Holy Spirit. After all, they pointed out, Jesus is called “God” (the New Testament Greek word is Theos) several times in the New Testament. But the Scriptures never explicitly use the term “God” referring to the Holy Spirit. These “sola scriptura” bishops, called “pneumatomachoi” (fighters against the Spirit), therefore resisted the doctrine of the Trinity, one God in three distinct but equal persons. St. Basil the Great responded to these heretics in the form of a short treatise that relies not on difficult philosophical concepts but on a common-sense examination of Scripture and the liturgy. He then made one of the clearest cases against sola scriptura in early Christian literature, showing that Christians had never, from the time of the apostles to his day (ca. 370), relied exclusively on the text of the Bible to tell them how to pray and what to believe. He pointed to many liturgical traditions, such as the sacrament of chrismation (known in the West as confirmation), which had always been celebrated in the Church but were not clearly and explicitly spelled out in Scripture. He also pointed to the fact that the Church had always, as far as anyone could remember, prayed the Trinitarian doxology — “Glory be to the Father, and to the Son, and to the Holy Spirit” — which clearly assumes the divinity of the Holy Spirit. Lex orandi, lex credendi (the law of prayer demonstrates the law of belief) is a principle first clearly argued by St. Basil. Therefore, to deepen your understanding of the work and person of the Holy Spirit, provide insight into the relation between Scripture and Tradition, and acquaint you with one of the greatest Fathers of the Eastern Church, pick up “On the Holy Spirit,” a short book by St. Basil, available in paperback from St. Vladimir’s Seminary Press. In defending the divinity of Christ during the Arian crisis of the fourth century, St. Athanasius of Alexandria had received constant support from the most famous hermit of the Egyptian desert, St. Antony. Personally inspired by Antony’s story and example, Athanasius decided the world needed to know about him. Without the internet, or even the printing press, Athanasius’ “Life of Antony” quickly became the rage throughout the Christian empire, which was copied, translated and passed from hand to hand. It inspired many, including Augustine, to a deeper conversion to the Gospel and even to embrace religious life. Antony, a hermit, was the “godfather” of religious life in the East. A few centuries later, St. Benedict established a communal form of life that made him the godfather of monastic life in the West. Only a couple of generations after St. Benedict’s death, one of his monks was elected as successor of St. Peter. Known as Gregory the Great, this monk-become-pope found time to write his “Dialogues,” the second book of which is a life of St. Benedict. I vote that you put Athanasius’ “Life of Antony” and book two of St. Gregory’s “Dialogues” at the top of your reading list as a great way to get acquainted with two of the greatest monastic saints and two of the greatest Fathers of the Church. Dr. Marcellino D’Ambrosio writes from Texas. This presentation of the Fathers would not be complete without a discussion of how to break into the writings of the most famous Father of the Western Church, the great St. Augustine. Many praise Augustine, but virtually no one has read all of his works (he wrote more than 4 million words!). It’s hard to know where to enter the forest of his vast literary output. His “Confessions” is a classic of Western civilization as is his massive tome “The City of God.” But keep in mind that “Confessions” is not an autobiography in the typical modern sense of the word. It is a spiritual reflection on his past life, written soon after his accession to the episcopate, but it takes the form of a long, extended prayer to God. And its last few chapters ascend into the philosophical stratosphere, losing all but the heartiest astronauts. Is it to be attempted? Yes, but it is not really a beginner’s slope. And “The City of God” is definitely not the first Augustinian peak to be attempted either. So, where to begin? In my opinion, it is his homilies and commentaries that are perfect for everyone — meaty enough for the most experienced, but simple enough for the novice. After all, his sermons are for ordinary people and are intended to help them understand and apply the Scriptures to their lives. Who cannot use a bit more of that? His commentary on the Psalms is fabulous. And, since his favorite topic is love, I especially recommend his homilies on the First Letter of John. 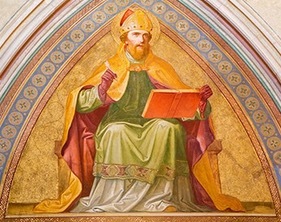 Given that Augustine is the most influential teacher of the faith in the Western Church before St. Thomas Aquinas, he cannot be neglected by anyone wishing to tap into the Church’s ancient heritage. What is an Ecumenical Council? Comments Off on What is an Ecumenical Council? The Second Vatican Council (1962-1965) still looms large in the awareness of most Catholics today. But how many Catholics are aware that we’re currently in the midst of the 450th anniversary of the Council of Trent (1545-1563), another Church council of great historical significance? And how many Catholics know much at all about the other 19 general councils of the Catholic Church? Church historians remind us that tracing the developments of the general councils is an outstanding way to survey 2,000 years of Christian history. While the general councils have not treated every aspect of theology and spirituality, they have addressed the major issues of their times. For this reason scholars recognize these meetings as an essential element of the ongoing life of the Church. What actually constitutes a general (or ecumenical) council? (The terms “universal,” “ecumenical” and “general” are ordinarily used interchangeably, though historically these terms have been used in different ways.) A general council is a meeting of worldwide Church leaders convened by the pope, although this was not always the case in early Church history. All bishops are called to participate, but other officials are also invited. We should note here the important distinction between general councils and councils that are merely local, regional or provincial. Numerous provincial or local councils (or synods) met during the first three centuries of the Church, especially during the third century, to handle matters of doctrine and discipline. These earliest church meetings in North Africa, Rome, Gaul, Asia Minor and Iberia paved the way for the first general council, Nicaea I. A number of local councils, some attended by popes or their delegates, also met during the Middle Ages. Today regional synods of bishops continue to meet, sometimes in Rome, and frequently in the bishops’ home countries as national synods or conferences. We should also note that the separated Eastern Orthodox churches consider only the first seven councils ecumenical. The Catholic Church, however, recognizes 21 councils to be ecumenical, or general, even though the East was missing from the councils of the second millennium. When we examine the particular reasons why various councils have met over two millennia, we discover a cycle of challenge and response that brings them into session. In a sense, councils are convoked because they are provoked, prompted by various circumstances in the life of the Church that require attention. Thus councils most often spend their time identifying and condemning heresy, instigating needed reforms, dealing with questions of church authority, and addressing other significant issues as they have emerged in various historical periods. Since councils come into existence in response to demanding religious and social issues of the day, the Church has no regular schedule for convoking them. They are simply called as needed. The councils, we might say, are the Church’s “think tanks” for solving problems and plotting the future. Since apostolic times, Christian leaders have used such major meetings to compare notes and solve problems. Often issues are churning for decades or even centuries before they are brought to a council for solution. The council fathers must enunciate guiding principles and procedures and then plot their implementation. Consequently, a number of activities are necessary for holding a general council. First, the reasons for convoking the council must be identified. Second, its goals must be established. Third, the Church must engage in a period of preparation. Fourth, the assembly itself must take place. And, finally, the council’s decisions must be put into practice. The Church council held in Jerusalem and noted in Scripture (see Acts 15 and Gal 2:1-10) is not listed with those we consider gen-eral or ecumenical. Yet this meeting of the apostles Peter and James, Paul and Barnabas and others is often noted as the first and model council. The general council of Constantinople II (553) explicitly mentioned the importance of the apostles coming together to consult and to make a decision. The “Council of Jerusalem,” as it came to be called, probably met in A.D. 49 or 50 to address the question that arose a handful of years after Jesus’ death and resurrection: Must one be a Jew in order to be a Christian? The issue boiled down to whether men needed to be circumcised and whether all were bound by the Jewish dietary laws. The first general council was the First Council of Nicaea, which was summoned by the Emperor Constantine in 325. Its main purpose was to deal with the Arian heresy, which erroneously taught that Jesus Christ was not fully God. In the Church’s first millennium, the general councils met largely to formulate doctrinal statements to correct other heretical teachings. The councils of the Middle Ages and Reformation dealt primarily with reforming church divergences and clarifying certain doctrines. In the modern period the two Vatican councils were gathered for dissimilar reasons: the first to define papal infallibility, the second to renew the Church in line with contemporary developments. Some councils completed the unfinished business of their predecessors. For example, the first eight councils, from Nicaea (325) to Constantinople IV (869-870), met in somewhat rapid succession because they were refining creedal statements. In their deliberations they hammered out the profoundly interrelated dogmas of the Church concerning the Blessed Trinity and the Person of Christ. Several councils followed soon after another to address persisting problems. The first four Lateran councils met successively in less than a century (1123, 1139, 1179, 1215) to address questions of Church reform. In later situations councils finished the work that earlier meetings could not because of difficult circumstances. The time between councils, their duration and their attendance reveal a wide variance. Counting 21 general councils might lead us to think that they were called about one each century. But in reality general councils have met infrequently, often in clusters. And there were long periods of time — sometimes several centuries — that experienced no councils at all. General councils varied also in duration. Lateran II sat only a week, while Constance (1414-1418) met for three and a half years of steady activity. But length of time is no indicator of importance or achievement. Lateran IV gathered for only 20 days, yet was the most impressive of the medieval councils. Lateran V met for five years, 1512-1517, but accomplished little. Concerning participation, as few as a dozen members were present during a low point at Constantinople IV, and only 17 during one session of Trent in 1551-1552. In striking contrast, 2,540 packed St. Peter’s Basilica for the first session of Vatican II in 1962. Despite difficulties in travel and communication during the ancient and medieval eras, about 600 took part in Chalcedon (451), more than 400 at Lateran IV and nearly 900 at Constance. Even though each general council has exhibited distinctive characteristics, a common thread runs through all. Each council rose to the occasion and responded to the urgent needs of its day. Why is Sacrosanctum Concilium Important? Comments Off on Why is Sacrosanctum Concilium Important? These celebrations have provided an opportunity for the Church to properly assess the achievements of the council as well as to discuss areas in which the council may have fallen short. In addition to articulating both the successes and failures of Vatican II, these celebrations have provided the framework by which to discuss the impact of the council on the life of Holy Mother Church as well as positing what impact the council may have on the future of the Church. This gap between the texts themselves and the allusive spirit of the interpreter created an opportunity to respond to every whim in the life of the Church. The framework provided by both Pope Benedict and the Church’s historical celebrations creates the context for an overview of the first document promulgated by the council fathers, Sacrosanctum Concilium, Constitution on the Sacred Liturgy. It can be rightly argued that this document more than others suffered under the hermeneutic of discontinuity presented to the world in the context of the spirit of the document opposed to what the document actually outlined and promulgated. Despite the confusion sometimes created by this misreading of the document, Sacrosanctum Concilium remains integral to the Church’s organic development of the liturgy. The council fathers wisely began the deliberations of Vatican II with the sacred liturgy precisely because of its significance in the life of the Church. The liturgy is “the outstanding means whereby the faithful may express in their lives, and manifest to others, the mystery of Christ and the real nature of the true Church” (Sacrosanctum Concilium, No. 2). After articulating the nature of the liturgy, which is to build up and strengthen the body of Christ, the document prepares to articulate principles whereby the liturgy may be renewed chiefly so that the liturgy may be that source which imparts “an ever increasing vigor to the Christian life of the faithful” (No. 1). Before providing concrete principles by which this renewal should be governed, the council fathers exhorted a respect for and adherence and obedience to the tradition of the Church. The principles used to assist the Church in liturgical renewal involve, first, an understanding of the nature of the sacred liturgy. At the heart of what the Church celebrates in the sacred liturgy is a continuation of the Paschal Mystery of Jesus Christ and an expression of His mission to bring about salvation and reconciliation for the whole world. The Church’s perennial teaching is that the redemptive work of Christ continues in the life of His spouse, the Church, who cooperates concretely in the mission of the Savior through sacramental life. The council states: “Christ is always present in His Church, especially in her liturgical celebrations. He is present in the sacrifice of the Mass, not only in the person of His minister, ‘the same now offering, through the ministry of the priests, who formerly offered himself on the cross,’ but especially under the Eucharistic species” (Sacrosanctum Concilium, No. 7). The council fathers are able to define the liturgy as “an exercise of the priestly office of Jesus Christ” (No. 7). Through His priestly office Christ is able to sanctify men who are in turn able to fittingly adore God. The liturgy as an action of adoration and sanctification allow men to experience here on earth a foretaste of the glories of heaven and consequently requires from the faithful knowledge and spiritual understanding of what is happening when they are present at the sacred liturgy. Having established foundational principles for the renewal of the sacred liturgy, the document articulates norms for its renewal based on more general aspects of the nature of the liturgy: the communal nature of the liturgy, catechetical and pastoral aspects of the liturgy. The document concludes the articulation of norms by mapping out the adaptation of the liturgy to the cultural realities in which it would be celebrated. The remaining sections of the document are given over to a discussion of each of the seven sacraments and sacramental realities beginning with the most holy Eucharist. Here the council fathers offer a re-articulation of traditional Catholic theology regarding each of the sacraments and applying the principles set forth at the beginning of the document. After addressing each of the seven sacraments, the document addresses the importance of sacred art and furnishings. So, too, the council fathers give attention to the liturgical year, the Divine Office and sacred music. The significance of Sacrosanctum Concilium comes not only from the comprehensive discussion of the whole of the liturgical life but also from the various misunderstandings about the sacred liturgy that developed as a result of a misreading of the document. Chief among these misunderstandings regards the “full, conscious, and active participation” of all the faithful. This has been understood more often than not as an exhortation to involve more lay faithful in the work of the liturgy when the document makes no specific reference to how this might be implemented. Furthermore, having already articulated the importance of tradition in rooting and guiding the renewal of the sacred liturgy, this particular phrase, having already appeared in magisterial documents, involves an interior preparation and awareness and has very little to do with exterior functions. The document speaks eloquently about the importance of the ongoing use of and formation in the Latin language (see No. 36). While allowing the use of the vernacular in the celebration of the sacred liturgy, there is a clear exhortation for the preservation of the use of Latin in the liturgy. Finally, while it has become normative to celebrate the Holy Sacrifice of the Mass facing the congregation, nowhere in the documents was it suggested or mandated that the Church abandon the ancient practice of celebrating holy Mass ad orientem — that is, facing the east. While the spirit of Sacrosanctum Concilium has been trumpeted to allow a variety of abuses to sacred celebrations, the document itself has provided the Church with clear directions to better assist all the faithful in fruitful celebrations of the sacred mysteries. The exhortation for better knowledge of the rites and rituals of the faithful has provided the impetus for many in the post-conciliar period to strive for greater knowledge about the rituals so that they might more deeply penetrate the mysteries celebrated therein. So, too, the exposure to more sacred Scripture has brought the richness of biblical language more comprehensively into the liturgy. As the Church now moves beyond these historical celebrations and reflections, she is presented with an opportunity to return to the actual content of the document itself and to authentically execute the desire of the council fathers for a deeper appreciation of the Church’s liturgical life. With the pontificates of Pope Benedict XVI and Pope Francis, who has publically committed himself and the Church to the liturgical insights and direction of his predecessor, the Church will be able to more authentically engage the dynamics of liturgical renewal articulated by the council. The understanding of the council fathers that the celebration of the Church’s liturgical life was the source and summit of all her activities is still very much operative today as it was at its promulgation. What Sacrosanctum Concilium provides, within the framework of restored tradition and sound doctrine, is the opportunity to assist the faithful in experiencing more deeply and richly the incarnate wisdom and love of God. Msgr. C. Eugene Morris, a priest of the St. Louis archdiocese. In the middle of the 16th century, the Catholic Church was in need of reform and renewal, and while the Church acknowledged these problems and had begun reforms, the corrective actions were not quick enough or deemed serious enough to stem large numbers of Catholics from leaving the Church. Martin Luther’s revolt and the subsequent Protestant revolution in the mid-1500s accelerated the reforms that were eventually realized through the Council of Trent. This council, the 19th ecumenical council in Church history, not only dealt with corruption but, more importantly, effectively refuted the heretical teachings and anti-Catholic attacks launched by Protestants. Few ecumenical councils have left more of a long-term impact on defining and reforming the Catholic Church than did the council held in several different sessions at Trent, Italy, between 1545 and 1563. From the opening to closing ceremonies, the Council of Trent lasted 18 years, but the bishops were in session for just a little more than three years. Of course, the council was not intended to be spread over 18 years, but the work of the bishops was interrupted by plague, wars, the deaths of four popes and a lack of interest from Pope Paul IV (1555-1559), who thought he could achieve reforms without the council. The results of that historic gathering are still debated by Catholics and non-Catholics alike, but the debates are matched by a host of myths as to what the council fathers at Trent did or did not do. One long-running myth claims that the popes of the 16th century, fearing a loss of prestige and power, resisted calling a general council to deal with Church abuses and corruption. While 15th- and 16th-century popes were indeed cautious, Pope Paul III (1534-1549) tried three times to convoke a Churchwide council. His efforts were repeatedly stymied by political squabbles and unenthusiastic support from European monarchs and princes. Myth: Trent ended the practice of indulgences. Fact: The practice of indulgences was not ended, continues today and is defined in the current Catechism of the Catholic Church (see Nos. 1471-1484). The XXV session of Trent affirmed Church authority to issue indulgences and condemned “those who assert that they [indulgences] are useless or who deny that the Church has the power to grant them.” The council did eliminate the misuse and the so-called selling of indulgences which Martin Luther (and others) found repugnant. Myth: Trent added seven books to the Old Testament. Fact: Beginning in the fourth century there was Churchwide consensus that the Old Testament contained 46 books. That number of books is identified in the ancient Alexandrian (Christian) list of Scriptures as opposed to the Palestinian (Jewish) list that has fewer books. The decision to favor the Alexandrian list was subscribed to at the Council of Hippo in 393 and reaffirmed at the Council of Carthage in 397 (these two councils were smaller in nature and are not listed among the Church’s 21 ecumenical councils). When Luther’s followers translated the Bible into German, they left out the books of Tobit, Judith, First and Second Maccabees, Wisdom, Sirach and Baruch, as well as parts of Daniel and Esther. Protestants also made changes to the New Testament text which, like the Old Testament omissions, conflicted with their beliefs. Myth: The Council of Trent directed Catholics not to read the Bible. Fact: This is not true. The bishops confirmed that the Latin Vulgate Bible, in use by Christians for over a thousand years, was the correct version for Catholics to use. It is true that the Church fathers at Trent were concerned about the numerous new translations of Scripture that were filled with error and misinformation and lacked proper and authentic notes. Consequently, they did mandate that only with permission of the pope could versions other than the Vulgate be read. Myth: Trent resulted in sweeping changes to Catholic teaching. Fact: There were no changes made to Catholic teaching at the Council of Trent. The No. 1 priority was to defend clearly Catholic beliefs under attack by Protestants, which included: the belief that Christ instituted seven sacraments, not two as asserted by Luther; that justification was achieved by faith and good works, not by faith alone; that the deposit of faith included both the sacred Scriptures and sacred Tradition, not the Scriptures alone; that Communion of one kind for laypeople is sufficient to receive the Real Presence; that the traditional teachings on transubstantiation and original sin are correct; that purgatory does exist; that Masses for the dead are appropriate. These were affirmations, not changes, to Catholic beliefs. In a like manner, the conciliar decrees that defended the Mass were based on unchanging truths and revelation, not on innovation. Myth: Trent “damned to hell” those who do not agree with the decrees they issued. Fact: The canons, or decrees, issued by Trent all include the term “anathema.” For example, the Council of Trent, session XXII, canon V, reads: “If anyone saith, that it is an imposture to celebrate Masses in honor of the saints and for obtaining their intercession with God, as the Church intends, let him be anathema.” The word anathema is a Greek word meaning to separate, suspend or set aside, not “damn to hell.” The Church does cut off or excommunicate Catholics who consciously and publicly deny the canons of Trent because the canons affirm the teachings of Christ. These Catholics are welcomed back when willing to be reconciled with the Church’s teachings. Myth: The Council of Trent acknowledged that women have souls. Fact: This was and is the most far-fetched of any myth associated with the council. That women have souls was never questioned by the Church, nor was it addressed by the bishops at Trent. This wild accusation seems to have its roots in St. Gregory of Tours’ “History of the Franks” (Book VIII, Ch. 20). This history records that at the Synod of Mâcon in 528 one of the bishops questioned whether the Latin word homo, or man, as used in the Old Testament, includes both male and female. The issue was clarified that indeed women are included in the term. There was never an official canon or decree released, and whatever was discussed had nothing to do with whether or not women have a soul. In the 17th century, anti-Catholics attempted to distort the discussion at Mâcon and publicly claimed that the Mâcon bishops had formally addressed — even voted — as to whether or not women have a soul. Through the years this myth has been exacerbated and skewed so as to connect it with the council at Trent. Even today some Internet sites claim that the Church once debated whether or not women have souls. Myth: Trent resulted in a rigid Church, one that lacks both diversity and stymies fresh ideas.Fact: The bishops at Trent, like all Catholic bishops, saw themselves as guardians of the deposit of faith, the faith of Jesus Christ. What was true when Jesus walked the earth was true in the 16th century and is true today, and the Church makes no apologies for that position. Since the opening session of Trent there have been 44 popes, each with his own perspective, each with his own administration, each with his own ideas — but none have broken with the teachings of Jesus. – Ending the practices of simony, nepotism and pluralism. – Limiting bishops to control of only one diocese or holding more than one ecclesiastical office at a time, which had not previously been the case. Bishops were expected to reside and govern their diocese and regularly visit each parish; lengthy absences required the pope’s approval. Every bishop was obligated to maintain high moral standards, live frugally and avoid excess. – Requiring strict discipline within religious orders and placing monasteries under the jurisdiction of the bishop, rather than the pope. – Giving special attention to the education of the clergy, including the goal of establishing a seminary in every diocese. Celibacy was upheld, bishops were responsible to select and mentor men for the priesthood, and those men could not be ordained before age 25. – Promoting the development of the Roman Missal to standardize the Mass and a catechism containing a concise summary of Catholic beliefs. If you lived in the United States during the 19th century and asked anyone, other than a Native American, to name the most famous person in the American West, the answer might be Buffalo Bill, Kit Carson or explorers Meriwether Lewis and William Clark. But if you asked a Native American the same question, the response would likely be the “black robe” Father Pierre-Jean De Smet. Perhaps no individual in the 19th century had more impact on Native Americans than this Catholic missionary. Born in 1801, Pierre-Jean De Smet began seminary training as a teenager in his native Belgium. Excited by the possibility of being a Catholic missionary in the New World, he immigrated to the United States at the age of 20 and entered the Jesuit Novitiate at White Marsh, Md. In 1823, he moved to the Jesuit facility in St. Louis, where, four years after arrival, he completed his priestly training and was ordained. In 1826, Pope Leo XII established the Diocese of St Louis, which exceeded the size of the other nine American dioceses combined; it encompassed everything north of Louisiana and west of central Illinois. Almost all of this new diocese, especially west of the Mississippi River, was made up of remote and undiscovered land. It was along the Missouri River, in the Rocky Mountains and west toward the Pacific Ocean that Father De Smet would spend a lifetime proclaiming the Gospel of Christ to the Indians. Eleven years after taking his priestly vows, Father De Smet was assigned to assist in the establishment of a Catholic mission, called St. Joseph, at Council Bluffs, Iowa. Here, near present-day Omaha, Neb., more than 2,000 Potawatomi Indians had been relocated from the Upper Midwest. Father De Smet spent two years among these people professing the Word of God and exposing them to Christian precepts. Although success was limited, many of these people did find new dignity, freedom and salvation in Christianity. However, there was one problem that constantly nagged and hampered Jesuit efforts. The relocation agreement that moved the Indians to Council Bluffs stipulated that the U.S. government would monetarily compensate the Indians. White traders and merchants seemed to know of this stipulation and were quick to exploit the Indians, introducing them to the vices of the white man, including alcohol. Father De Smet and his colleagues struggled continuously to keep alcohol out of the missionary encampments, even protesting to the highest levels of government, but with little success. In that era, the enemy of the Potawatomi was the aggressive and much larger Sioux tribe. These two tribes had frequently engaged in warfare, mostly to the Sioux’s advantage. In 1839, Father De Smet took it upon himself to end the violence. He made the trip from Council Bluffs to the Sioux encampment in the eastern Rocky Mountains, some 12 days of travel up the Missouri River. Alone and unarmed, he walked into the Sioux camp. As he found throughout all his missionary efforts, he was treated respectfully and provided great hospitality. The Indians listened to what this black robe had to say and agreed to make peace with the Potawatomi. Father De Smet was graced with a God-given special charism that allowed him to relate and minister to Native Americans. He never offended them, never lied, never took advantage or mistreated them. In fact, he would, on numerous occasions, zealously defend their rights before presidents and congressional leaders alike. He was their benefactor at a time when many other whites regarded them as little more than savages. In the most unsanitary, foreign and remote conditions he accepted whatever charitable gifts they offered. A smelly buffalo robe was graciously accepted, or food served on a filthy plate was eagerly consumed; he found ways to fit in with people he grew to love and admire. In 1840, after two years at Council Bluffs, Father De Smet was assigned to minister to the Flathead (or Salish) Indians, located in what is now Montana. During the several years prior to Father De Smet’s assignment, the Flatheads had made repeated trips to St. Louis seeking a black robe to come live with them and teach them about Jesus. In the spring of 1840, Father De Smet was directed to proceed to the Flathead encampment near present-day Missoula, Mont., and establish what became known as St. Mary’s Mission. Father De Smet, along with other Jesuits, would establish at least seven missions in the Rocky Mountains, as well as numerous smaller locations largely using the methods of their founder, St. Ignatius. This was never an easy task as the effort was plagued with danger. Just getting to the Indians took days, weeks or even months. Travel was primarily by riverboat, and those river journeys were filled with potential accidents: sand bars, tree stumps, snags, low water and unchartered shore lines. Disease, terrible weather, including tornadoes and snowstorms, forests and thickets also had to be braved. And always there was the unknown reception by the Indians, which never seemed to slow Father De Smet. Additional aggravation came from the U.S. government, which was forever trying to force the Indians farther and farther west, to confine nomadic people to the reservation. The government also insisted on parceling up the Indians among different religious missionary groups, clearly favoring the Protestants. Perhaps the biggest detriment to all the missionaries was the idea that the noble, proud Indians would adapt to the white man’s culture — that is, they would not only be Christianized but act, dress and conform to a white man’s world. That last challenge was never fully realized. The Jesuits would quickly discover that the harvest was plentiful but laborers were few. There was an ongoing need for funding and more black robes if their missionary effort was to succeed. Father De Smet was up to the challenge. He raised money by selling his writings that described the Indians and the geography of the West. He went to Europe repeatedly and not only obtained funding, but convinced more Jesuits to migrate to his missions in the United States. He also petitioned U.S. Congress to support the Jesuit missionary efforts. During his 72 years of life Father De Smet would come to know and associate with popes, Catholic superiors, presidents, members of congress, Indians from dozens of tribes and his fellow Jesuit missionaries. He would use them all for the greater glory of God. On seven occasions over a 20-year period, Father De Smet was solicited by the U.S. government to intercede between warring Indian tribes and between conflicts of Indian tribes and the United States. One Indian tribe not willing to accept containment on a reservation, not willing to accept the white man’s infringement into their way of life, was the Sioux. In 1862, they started a war against the United States. The army struggled to handle the situation, and once again the government asked Father De Smet to find a way to intercede and end the warring. The Jesuit, by now 67 years old, took on the assignment to stop the bloodshed and save the Indians from eventual extermination. From St. Louis, Father De Smet traveled 33 days by boat up the Missouri and then trekked another 16 days over land into south central North Dakota looking for the chief of the Sioux, Sitting Bull. In April 1868, armed with his crucifix and black robe, he entered the Sioux camp and after a few days convinced the famous chief to send representatives to meet with government officials at Fort Rice, N.D. At face value this was a remarkable achievement, because there is little evidence that the two men had ever met. It was Father De Smet’s reputation and the Holy Spirit at work. At the conclusion of the Fort Rice conference, Father De Smet returned to St. Louis where he died on May 23, 1873, Ascension Thursday, from kidney disease.